In this article, I am going to discuss ways of preventing and treating food allergies and sensitivities. Some people have the perception that food allergies and sensitivities are more prominent than in the past. For example, when I was a child in the 1970’s, we were never told about the dangers of bringing peanuts to school. Today, I hear from the parents of my child clients that this is commonplace. However, despite hearing this observation, is the issue increasing or we are merely more aware of it. Scientific research shows us that the incidence of celiac disease is much higher than when I was a child. Researchers can show this increase by analysing old blood samples and applying the modern day diagnostic criteria. What they found is that celiac disease is over four times higher today than it was a half-century ago. So why is the incidence of food allergies and sensitivities increasing? To answer this question we must first look at why some people develop allergies and intolerances, and some people do not. Over the past fifty years, we have seen a change away from particular foods including a reduction in the consumption of eggs and liver. When we remove foods from our diets, this will have a detrimental effect on our nutritional status. Our immune system requires certain nutrients to work efficiently, and without them, it can become over-reactive, and we can develop allergies and intolerances. Two essential nutrients for a healthy immune system are retinoic acid and prostaglandin E2. Retinoic acid is a molecule that we make from retinol. Prostaglandin E2 Is made from arachidonic acid an omega-6 fatty acid that we also find in animal foods. Retinol is found mainly in liver and cod liver oil with smaller amounts in egg yolks and dairy fat. Arachidonic acid is found primarily in liver and egg yolks. 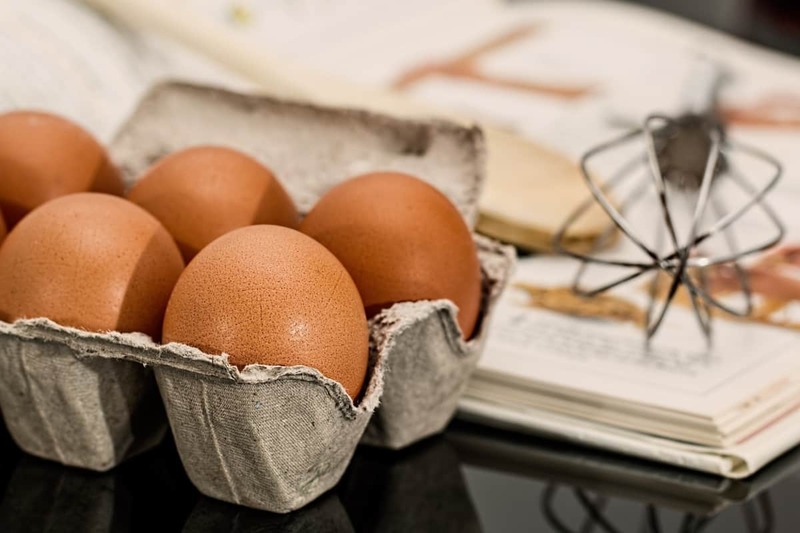 Therefore a reduction in the consumption of liver and egg yolks has probably played a role in the increase in food allergies and food intolerances. Another important consideration is the increased use the over-the-counter nonsteroidal anti-inflammatory drugs, or NSAIDs, such as ibuprofen, acetaminophen, and aspirin. These drugs block the enzyme COX in the body. The enzyme COX converts arachidonic acid into the prostaglandin E2 which we require to ward off allergies and intolerances. If we are in pain, out of all the NSAIDs from a research point of view, the safest one is aspirin. Regarding food intolerances, I think it is more accessible to prevent them than to fix them. To avoid the development of food intolerances of, we need to introduce both liver and eggs into the diets of our children from an early age. For example, beginning with eating liver once or twice a week and eating egg yolks every day or every other day. Secondly, avoid the unnecessary use of the NSAIDs. There are many natural and safer alternatives to NSAIDs. I suggest seeking out a local Naturopathic Doctor or Homeopath for advice. As I mentioned above, there is no easy way to fix food intolerances. The first thing to do is identify which foods you cannot tolerate and cut them out of your diet. My preferred method of determining food intolerances is to carry out a food elimination diet. I also find muscle testing a useful tool. If you suspect that gluten is an issue, it is essential that you rule out celiac disease. Celiac is a serious medical condition which means you must be very strict with the avoidance. Similarly, if you are anaphylactic to a food such as peanuts, complete avoidance is imperative. Unlike Celiac disease, it may be possible to treat food allergies even if they cause anaphylaxis. I recommend you look at Natural Allergy Treatment which I have found very effective. If food intolerances do not induce a medical condition or very uncomfortable effects, it may be possible to reintroduce them over time. I suggest trying to reintroduce foods after say 3-4 months. If there are several foods then introduce them one at a time over a week. You may also try consuming the foods in a predigested form. For example, if you have a problem with nuts, try soaking them and sprouting them. If you are dealing with grains, try using sourdough grains, long-fermented grains, and so on.